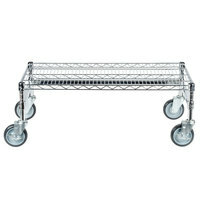 Properly store your heavier supplies with the Regency chrome plated mobile dunnage rack with tubular frame. 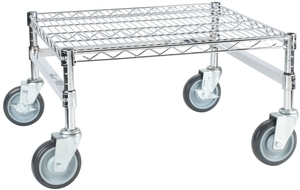 When it comes to running any kind of business, storage space is always at a premium. 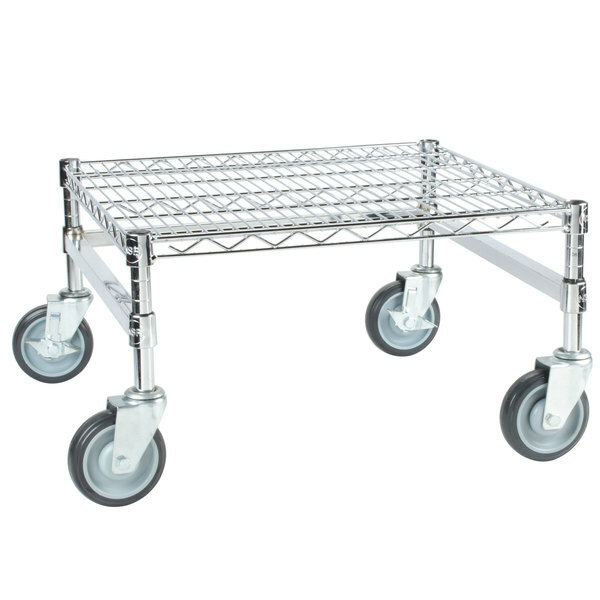 Thanks to the Regency 24” x 24” chrome plated mobile dunnage rack kit with tubular frame, you can create a convenient place to store your heavier supplies. 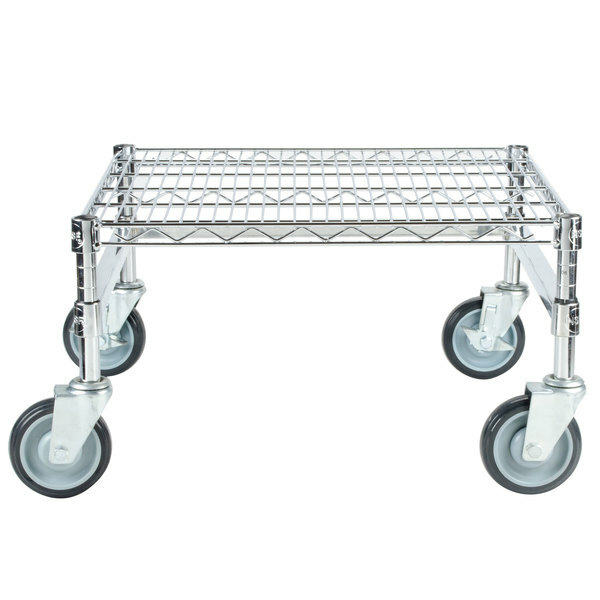 Crafted from strong chrome plated materials, this product is ideal for use in dry environments, like warehouses, garages, and stockrooms. For easy assembly, this product even ships with (4) 8” tall shelving posts and (4) 5” diameter locking polyurethane casters. 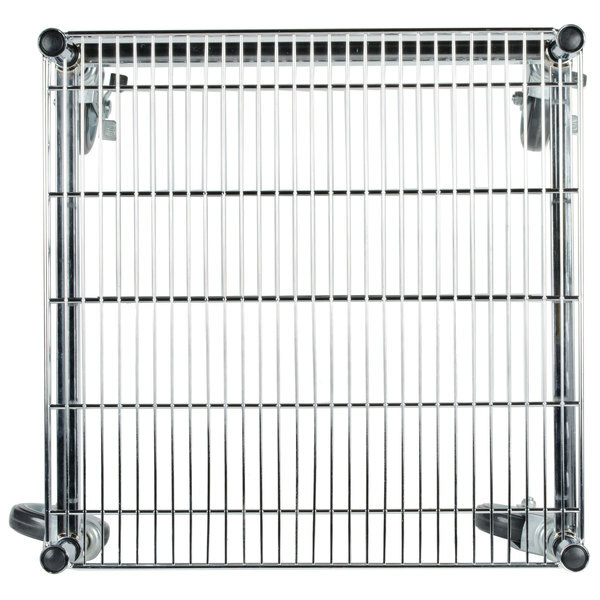 Since this product is crafted from chrome plated wire, it is suitable for dry storage or heated environments. 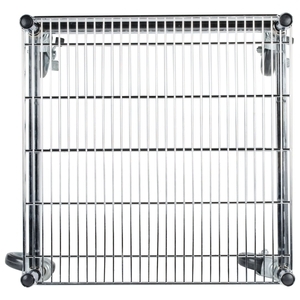 This dunnage rack also has an open wire design, minimizing dust accumulation and maximizing airflow. 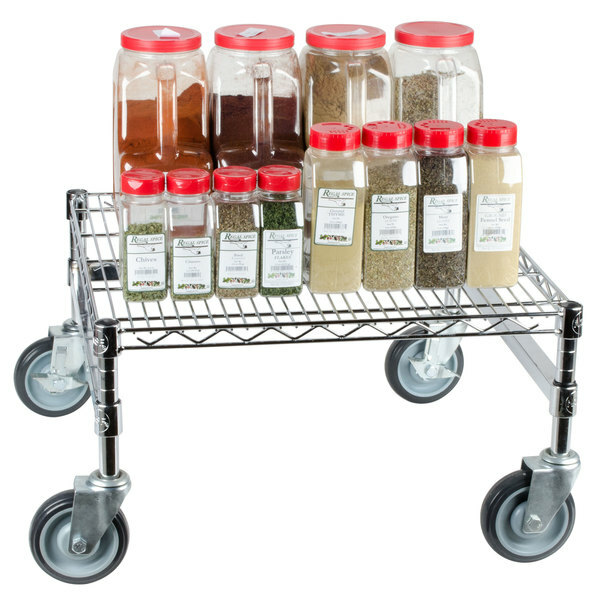 When fully assembled, this dunnage rack can hold up to 600 lb., giving the you the ability to securely store virtually anything. 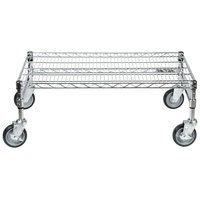 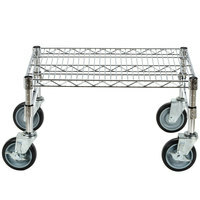 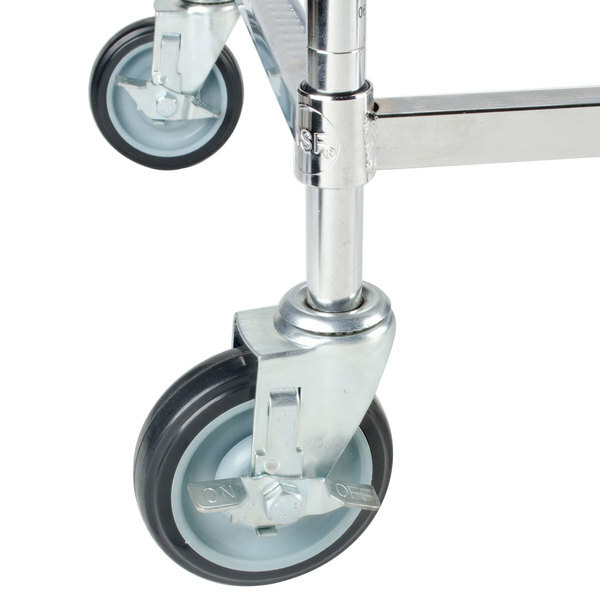 For easy transportation, this product comes with (4) 5" diameter locking polyurethane casters. The three-sided tubular frame of this dunnage rack provides it with extra stability and strength. 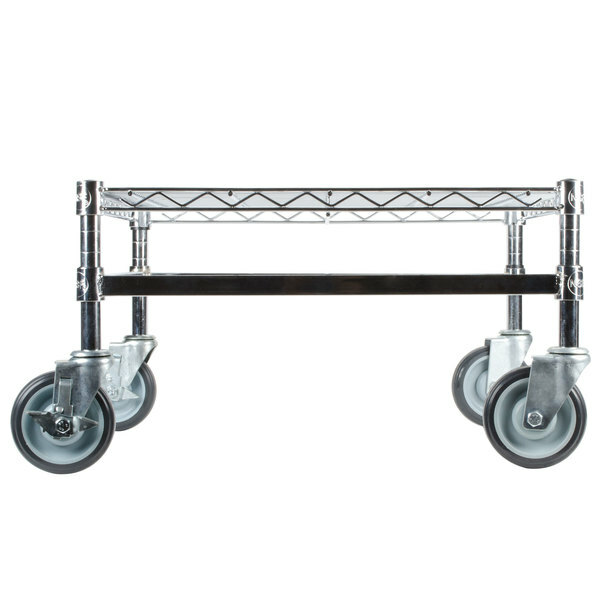 Channel AD2440 40" x 20" Mobile Aluminum Dunnage Rack - 1200 lb.